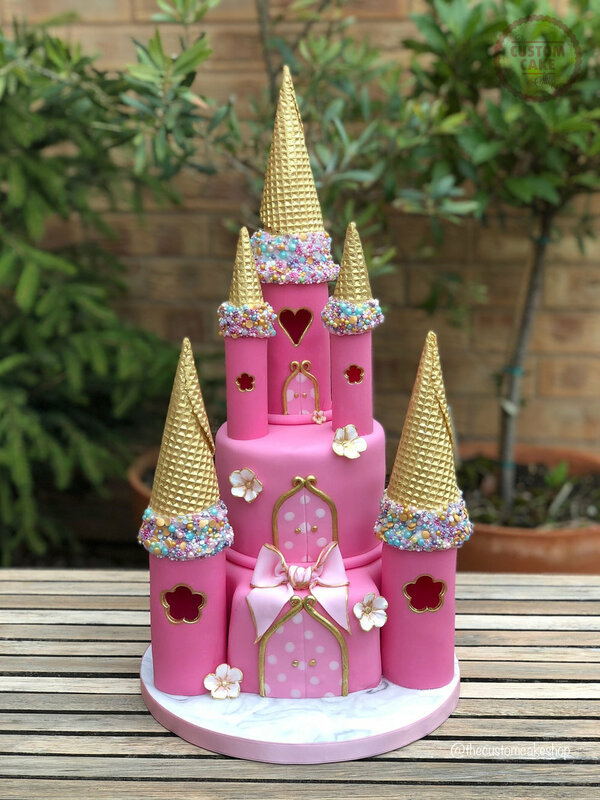 The first ever novelty cake I made was a Princess Fairytale Castle cake for my daughters 4th birthday. She's 14 now. Fast forward 10 years and lots of cakes later.... and here's one I made last week for my God Daughters 4th birthday. The brief was for a pink Princess castle. 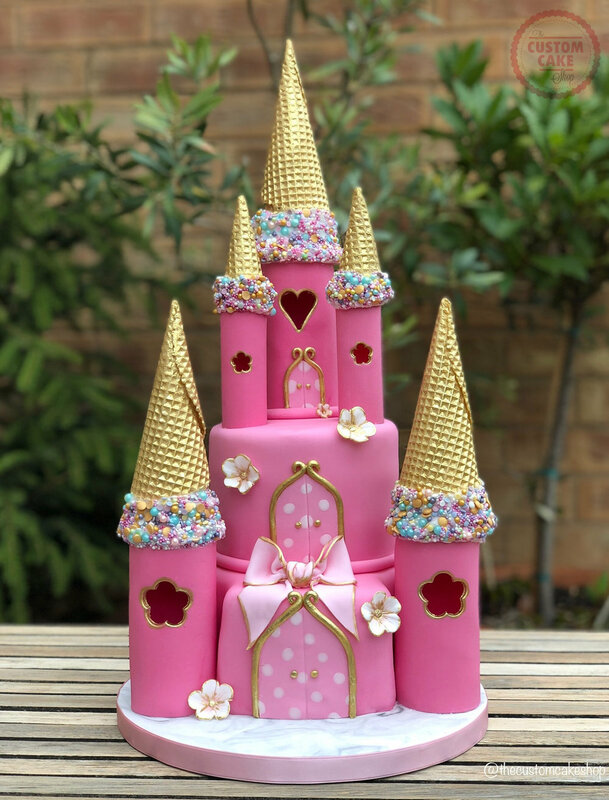 I'll have to hunt down a photo of the original fairy castle cake where it all began!